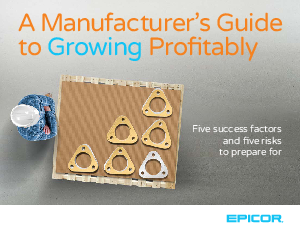 > Epicor Software Corporation > How to grow profitability in a manufacturing company? Learn about key growth enablers and pitfalls. Learn more about the pitfalls of growth and how to make sure they don’t overwhelm your business. Download the eBook now to get your business on the right growth path.